A world record is, by its nature, extraordinary. But there are some performances which go beyond that limit, inspiring awe and even reverence. David Lekuta Rudisha produced such a performance in the London 2012 stadium on Thursday night, winning the Olympic 800 metres gold in a world record time of 1.40.91sec. And the Kenyan led every step of the way. Regular readers here will know that this column’s greatest admiration is reserved for those athletes who always try to compete to their limits, in a desire to exploit their own talent to its utmost, and in doing so push back the barriers of their (and our) sport. When an athlete announces the possibility of a world record, most of the time it is either in response to media urging, or in an effort to convince themselves of their own questionable worth. 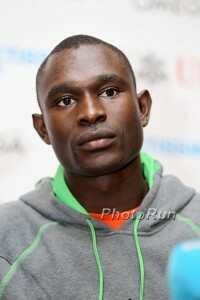 A superb athlete, and a quietly spoken, reflective man like Rudisha has no need of such doublespeak. So when he talked before the Games of his desire to win in record time, having introduced that possibility with two sub-1.42sec times on the circuit, and a 1.42.12sec win in the Kenyan Trials, at an altitude of over 1500 metres, then we sat up and paid as much attention as we did when the 800 final began on Thursday. Rudisha was as good as his word. At 23, he emulated another ‘giant’ of the track, Alberto Juantorena of Cuba, who was the last man to set an 800 metres world record (1.43.50) in winning the Olympic title. 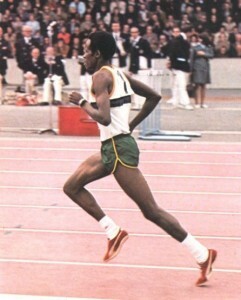 But the historical figure that Rudisha most memorably recalls, both in the manner of his victory and in its world record result is Filbert Bayi of neighbouring Tanzania, who set a 1500 metres world record of 3.32.2 (3.32.16) in winning the 1974 Commonwealth title in Christchurch, New Zealand. Like Rudisha, Bayi led every step of the way. I will not weary you with a lengthy exposition of my disdain for those talented athletes who are content to sit on their opponents’ efforts, and kick to victory in the final metres.  Nor need I bemoan the tedious procession of paced races, which have blighted the circuit for the past 30 years, and contributed to the diminishing interest in athletics. You will have read it here before. Suffice to repeat that those deserving of our greatest admiration should always be people like Bayi and Rudisha. Even Usain Bolt watched admiringly, before he went out to successfully defend his 200 metres title. Doubtless recalling the 150 metres match, made post-Atlanta 1996, between 100 and 200 metres champions, Donovan Bailey and Michael Johnson, Bolt was asked whether he might confront Rudisha at an intermediate distance. Told that Rudisha had gone through 500 and 600 metres in just over 61sec and just over 1.14sec respectively, Bolt mused, “I’ve done 60sec for 500 metres. I think if I trained for it, I could beat him over 400 metres, but anything more, forget it”. 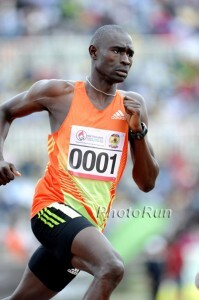 Rudisha himself said, “Nobody has ever broken the world record in the 800 metres without a pace-setter. I knew it was always going to be difficult, I knew I could always run 1.41(! ), but breaking the world record was a different story. But I was very determined, and I knew I am in good shape this year, and it’s what I’ve been working for with my coach all year. We were just looking for perfect conditions and a good place to break the world record. “When we started (heats) on Monday, I knew the track was fast, and I was just praying we would get the perfect weather on Thursday night, for a fast race. First I was looking for the stadium (Olympic) record, which was 1.42.58, set in 1996. To break the world record here is something special, and I couldn’t believe it myself”. Rudisha was injured, and missed going to Beijing four years ago, and for reasons best known to himself did not get through the World Champs semi-finals in 2009. Since then, he has virtually owned the two-lapper. Rudisha did not have a pacemaker, but everyone else in the race did; and they had the best in the world. It is testament to Rudisha that the enormous talents of 18 year old Nijel Amos of Botswana, the recent world junior champion, and Rudisha’s 17 year old compatriot Timothy Kitum (world junior silver medallist) were dragged to 1.41.73sec and 1.42.53 respectively); the rest of the field accordingly ran the fastest ever for their position, from first to eighth place. Rudisha was introduced to running by his father Daniel, a member of the Kenyan silver medal winning 4×400 metres relay squad in 1968. “He is the one who made me to come this far, he’s a big inspiration in my career. I wanted to do like him. One time, I was reading a magazine from the 1960s with an interview from him. He wanted to break the world record in 400 metres, and he didn’t do it. For his son to come and do it now is a great honour”. We will leave the last words to Sebastian Coe, whose own superb performance in fronting these massively successful Games have brought so much pride to the nation, and pleasure to the rest of the world. Incidentally, Coe’s one-time world record of 1.41.73 was emulated by silver medallist, 18 year old Nijel Amos on Thursday. ‘That was simply an unbelievable performance,’ said Coe, of Rudisha’s record. ‘David Rudisha showed supreme physical and mental confidence to run like that in an Olympic final.Instead of doing just enough to win the race, he wanted to do something extraordinary, and go for the world record as well. Rudisha’s run will go down in history as one of the greatest Olympic victories. I feel privileged to have witnessed it in London’.